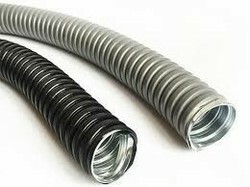 We are a leading Manufacturer of galvanized pipes with pvc, gi flexible conduit, pvc electrical flexible conduit, galvanized iron conduit, galvanized flexible conduit and pvc coated gi flexible conduit from Indore, India. 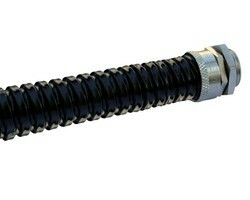 Size 6-150 mm 5, 16" - 6"
We also make available a well-designed and efficient range of Galvanized Iron Conduit. The range of Galvanized Iron Conduit made available by us is instilled with the features of resistance to early wear and tear. 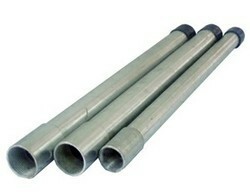 Also Galvanized Iron Conduit is made specially to stop the corrosion, as they consist of a coated layer of the Zinc on steel. 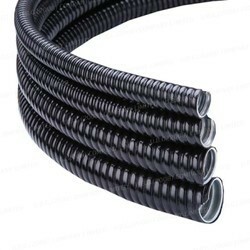 Looking for Galvanized Iron Flexible Conduit ?